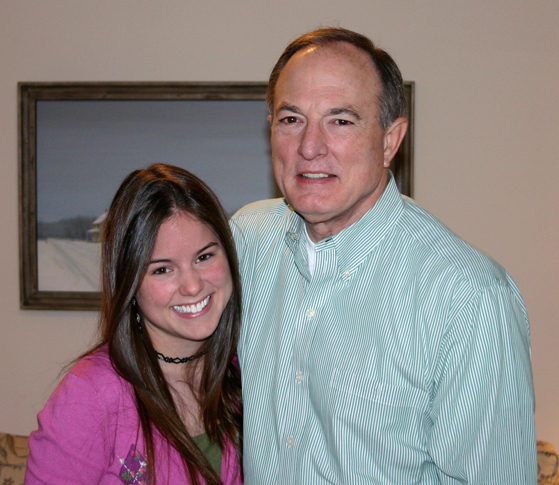 Happy Father’s Day to all you wonderful dads out there, including my fabulous father! Sadly, our family is all spread out across the country today and aren’t able to spend time together but that doesn’t mean we aren’t thinking of you! This photo is from a couple years back (is this one better, Dad? )...but I can't find many others of just the two of us besides my wedding photos! Dad, next time we are together, a photo shoot is in order... ha! : ) Love you! I wanted to share a simple dish for you today as we are in a bit of a time crunch to meet some friends this afternoon for a hike 🙂 Sometimes simple is the best, so here I have a quick and fool-proof method for steamed artichokes…in the rice cooker! After prepping the artichoke, you basically set the button and let it cook. Can it get any easier than that? Plus the dipping sauce is three ingredients and can be made in 15 seconds. I have to give props to my MIL’s boyfriend, Patrick, for passing along this cooking method a while back. This is the best steamed artichoke I’ve ever had, and it allows the leaves to get so tender that you get more “meat” off the leaves. These are great for a snack, appetizer or as part of a meal, if you are a fan of artichokes then you have to try this! 1. To prep the artichoke, take scissors and cut off the thorned tips of all of the leaves (if they have the thorns). Optional, since this is mostly for aesthetics as the thorns soften with cooking and pose no threat to the person eating the artichoke. 2. Slice about 3/4 inch to one inch off the tip of the artichoke and pull off any smaller leaves towards the base and on the stem. 3. Cut off the steam on the bottom so the artichoke can sit right-side up. 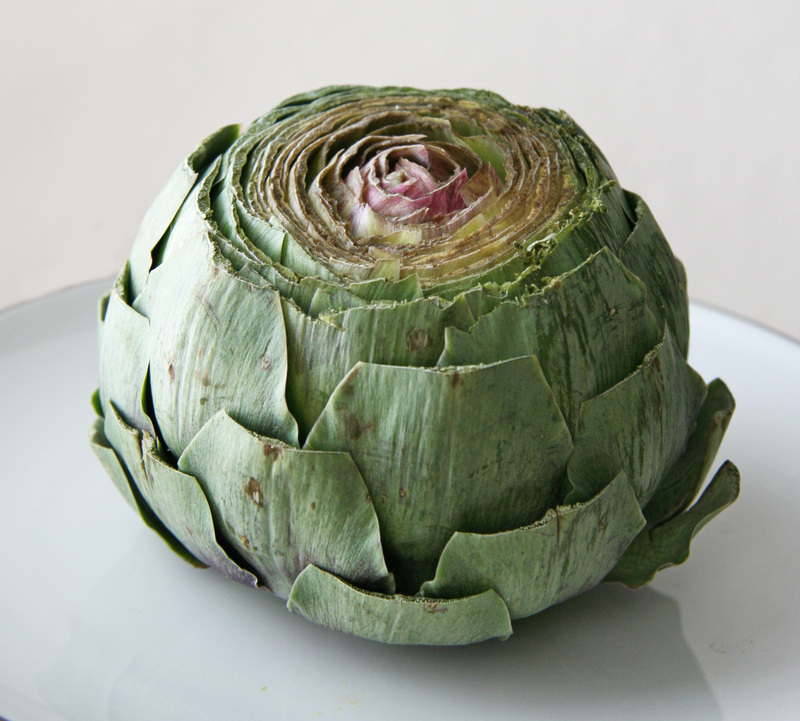 If you like to eat the stem, peel the fibrous outside and cook alongside the artichoke if desired. 4. From the top with a large knife, cut a hatch-mark from the top all the way to bottom reaching the heart in an X formation. This will help the inside cook as well as the outside leaves. Below is the artichoke after prepping. 4. Place the artichoke(s) in the bottom of the rice cooker and pour water over the top so it gets down in the leaves. The bottom of the rice cooker should have about an inch of water. 5. Close the top and turn the setting to “brown rice cooking mode” and press start. If you do not have brown rice cooking mode, enter the regular rice cooking mode and it should turn out as well. The artichokes should cook 30 to about 45 minutes. 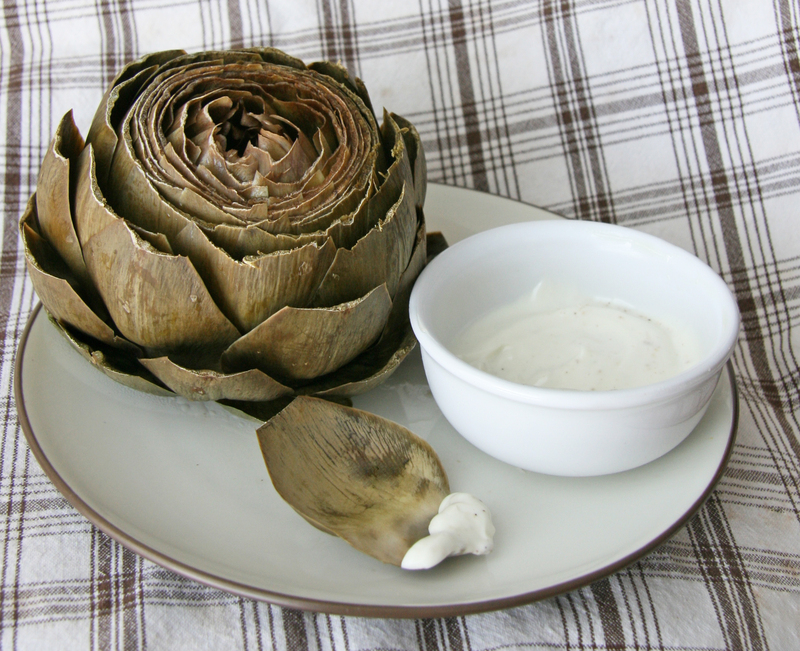 To check doneness, very carefully pull a leaf away from the body of the artichoke (be careful of the steam!). If it pulls away easily, it’s typically done, or you can taste test by seeing how easily the meat pulls off the leaf to your preference. 6. For the dipping sauce, add all Vegenaise, lemon and pepper into a small bowl and mix. Dip leaves and heart* into sauce and enjoy! 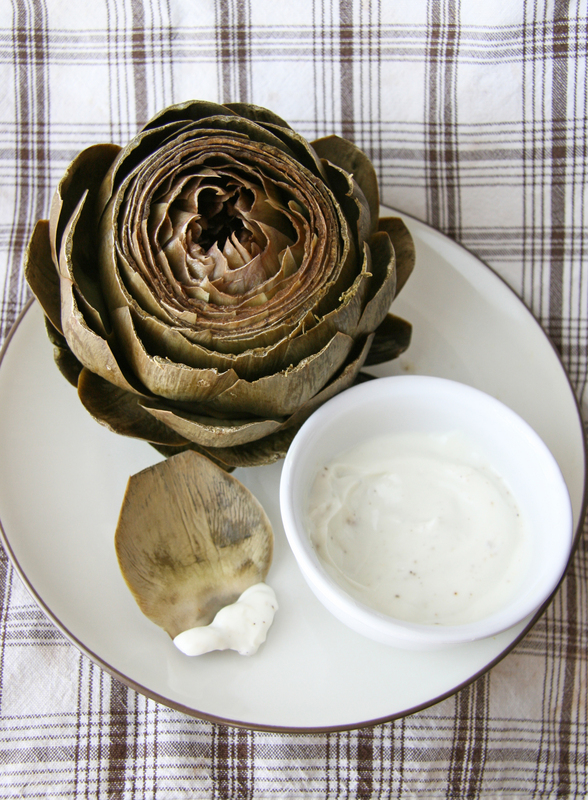 *When all leaves are removed, you can eat the best part – the artichoke heart! With a spoon, scrape out and discard the “choke” (the inedible fuzzy part part) covering the artichoke heart. The remaining bottom of the artichoke is the heart. Cut into pieces and dip into sauce to eat. SO good!